I wish to record my displeasure with the actions of the race officer and his team yesterday, Sunday January 29th. Just because our new committee boat has cooking facilities does not mean that they should be used if such action could be detrimental to competitors. The smell of bacon around the committee boat and as far as 100m downwind was so strong that I almost retired after 2 laps and my third lap was impeded by an overwhelming desire to head straight for the club kitchen. Conversations that I heard seemed more concerned with whether ketchup or brown sauce was favourite than the wind conditions. Come on chaps, have some heart. In February 2012 the club will be introducing a web-based duty management system – ‘DutyMan’. ‘DutyMan’ requires a database of the email addresses of the 300 club members who undertake one or more race duties each year together with a database of the duties for the Duty Officer, Race Officers, and the 4 Support boat helms/crews for the 2012/13 races – starting with the Warm Up Race on 25th March 2012 through to April 2013. Publish a calendar of events with allocated duties on the web, and which should always be up-to-date, accurate and definitive. Automatically email members a list of their duties and duty reminders. Organise duty swaps between members interactively using email to/from ‘DutyMan’ and automatically update the duty roster with agreed swops. The databases are currently being finalised and uploaded onto the system with a view to going live in February 2012. Members who have been allocated duties will receive an email from ‘DutyMan’ to set up their individual password. ‘DutyMan’ will be able to be accessed via a link from the club website. If you Google ‘DutyMan’ you will be able to see presentational videos of how the system works. 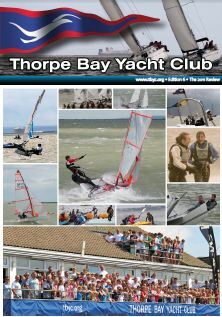 The 2012 Programme has been finalised and can be viewed by clicking on ‘Sailing Programme’ at the left side of this web page. The 2012 Handbook & Programme of Events is currently being posted to members as subscriptions are collected. Thanks to Gary Haylett and Toby Speller for the drafting and production of this year’s programme. Happy Sailing and Socialising at TBYC in 2012 – you now know when it’s all happening. Some dates for your diaries with more information to follow in the coming weeks and months! Please keep checking the TBYC website, email bulletins from your class captains and posters in the club for more information. Join us for a wine tasting evening with a Master of Wines, who specialises in the Bordeaux region – numbers will be limited so be sure to book as soon as tickets are available! We will be joined by the popular Barn Dance group Metric Foot for a brilliant evening of family fun – tickets on sale soon. Join family and friends at the club to enjoy a traditional 1950’s themed street party – more details to follow soon. The incredibly popular summer ball looks set to be another excellent event with live music and a fantastic menu – look out for more information soon. Look forward to seeing you at one or all of these events! As the new Commodore I wish for TBYC and its members to achieve great things in 2012. I do realise from time to time that members may wish to comment on a wide and varying number of aspects at TBYC with regard to members, cadets, staff and facilities. I welcome comments of all kinds and would be pleased to discuss issues or take praise wherever it is pointed, on behalf of TBYC. During 2011 I had a great many ideas discussed with me from members who seek to better their experience and benefit the club as a whole. Please feel free to contact me at any time on any matter relating to TBYC. Cadet week 2012 date + ideas session 4th March 11am. This year CADET WEEK will commence on Monday August 20th this is due to a very challenging set of tides. We are not yet accepting applications but wanted to ensure all parents knew well in advance to allow planning for family holidays. On Sunday March 4th a briefing/feedback and planning session will be held in the Commodores bar at 11am. This is intended for those parents wishing to discuss and share thoughts and ideas following previous Cadet weeks, in addition to outlining the initial plans of the Committee. Any parents are welcome to attend. Last year was fantastic, this year we hope to build on that success.